Currently in Community / Group Projects!!!!!!! 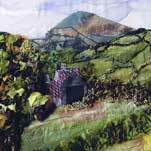 Mad Mountain Stitchers are a group of enthusiastic, skilled needleworkers and textile artists based in the Brecon Beacons National Park. 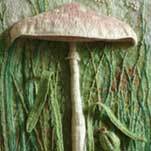 We use a range of materials, threads and fabrics in both traditional and contemporary styles of applique, stumpwork and embroidery, to produce intricate finished artwork. All our designs are original and take their inspiration from things we admire and value - they are as diverse as those who sew them. If you would like to learn more about us, or wish to discuss any aspects of a potential commission without obligation please email us.